Goodreads says, "Sixteen-year-old Macy Queen is looking forward to a long, boring summer. Her boyfriend is going away. She's stuck with a dull-as-dishwater job at the library. And she'll spend all of her free time studying for the SATs or grieving silently with her mother over her father's recent unexpected death. But everything changes when Macy is corralled into helping out at one of her mother's open house events, and she meets the chaotic Wish Catering crew. Before long, Macy joins the Wish team. She loves everything about the work and the people. But the best thing about Wish is Wes—artistic, insightful, and understanding Wes—who gets Macy to look at life in a whole new way, and really start living it." Macy thinks she has a boring summer ahead of her working at her local library and studying for the SATs in her spare time. She will also be trying to get over her father's untimely death, which still haunts her every moment. To make matters worse, her boyfriend is off at some brainiac camp this summer and ends up breaking up with her via email. This is the moment things start to change for Macy. She meets Wish Catering at one of her mom's open houses and decides to work for them this summer as well. Along with the other eccentric crew members, she meets and befriends dreamy Wes. Wes changes Macy's summer and life forever. 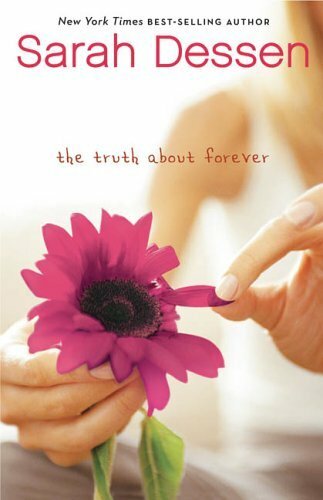 Sarah Dessen's The Truth About Forever is a heartwarming summer read that fans of young adult literature shouldn't miss. The Truth About Forever is one of my favorite books by Dessen. It's tied with Along For the Ride as my favorite and just like all of Dessen's books, I'd say it's a summer read with substance. Dessen is such a remarkable author in that she writes books that many feel are summer reads, but always has the protagonist deal with a serious issue and in this case, it was Macy dealing with her father's death. This makes the story less fluffy and more relatable, which I personally like. Macy finds herself not really living life fully as she is trapped emotionally, because she is having a hard time grieving. Wes helps her with his and gets her to come out of her shell. Speaking of Wes, he's my favorite Dessen guy. He's understanding, cute, funny, and by no means perfect. He makes mistakes, but that's what makes his realistic and that's why I like him! I loved their relationship; it felt extremely real and sweet. It was interesting to watch how Wes broke down Macy's walls and readers will love him for that. There's something about Dessen's writing that I love and if you read her novels before, you will know what I mean. It's addicting, enjoyable and easy to read. It's no wonder she is so successful and has written so many New York Times bestsellers. In my opinion, she's the reigning queen of YA. Although The Truth About Forever seems like a dark and depressing read, it definitely isn't. There are moments that had me smiling from ear to ear, such as Wes and Macy's relationship, and moments that made me laugh out loud, like when Macy is working with the catering crew. The ending was perfect too; I closed the book with a sigh and a smile. In the world of cliffhangers and sequels, there's something to be said for this. 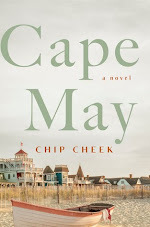 If somehow you missed this Dessen "classic," you must pick it up this summer. You won't regret it. 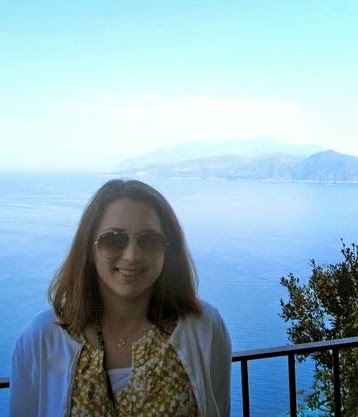 This is one of my favorites of Sarah Dessens. This is my favorite Dessen book and one of my all time favorite books. In the world where as you said everything is a series or even paranormal it is nice to have great stand alone contemporary reads about real life issues. This book is amazing. Although I love all of Dessen's novels, The Truth about Forever is my favourite. Not only does the book make you cry, it also makes the reader laugh out loud; which are, in my opinion, two of the most important things any book needs. While some YA fiction can be "fluffy", this one definitely is not, with moving characters and conflicts that don't let you put the book down without finishing it.